It’s odd that a biopic on Charles Lindbergh – aviation maverick, Nazi sympathizer, anti-Semitic quasi-White supremacist – should portray its hero as a wholesome country boy from Minnesota. 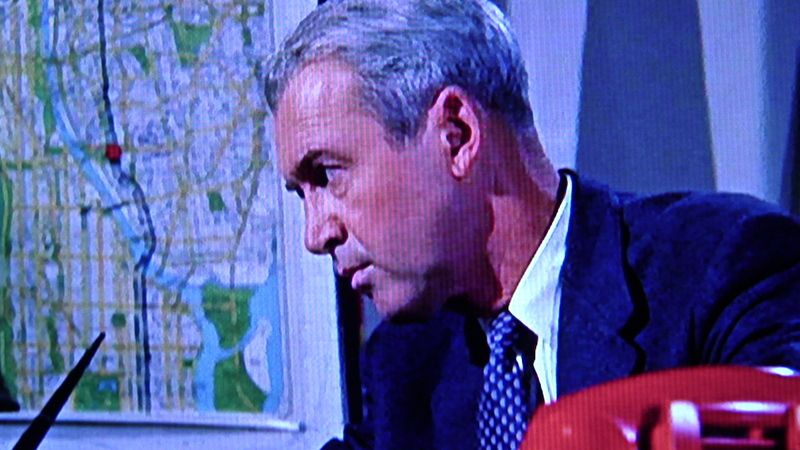 It’s odd that James Stewart should play Lindbergh (producer Jack L. Warner blamed him for the picture’s financial failure ), and it’s odd that the most difficult thing about the first transatlantic solo flight is staying awake. Critics have largely agreed that Stewart was miscast in the leading role. He may not be a good Lindbergh, but he fits the overall tone as loose and easy as a glove. Billy Wilder (Double Indemnity, Some Like it Hot, Double Indemnity) made a safe, comfortable biopic, taking on the relatively noncontroversial issue of anti-flightism. We find Lindbergh sleepless the night before his journey. At 47, Stewart isn’t the picture of youth as the 25 year-old Lindbergh. We get to learn a little about our aerial Mozart’s past, his offhand genius for flying, and his stints at a Flying Circus and US Air Mail. This is essentially a one-man film. Stewart occupies all our screen time. There is no romantic interest, only a woman (Patricia Smith) who lends him her makeup mirror for the plane’s compass. Luckily Jimmy is at his homely best, pouring all the can-do American enthusiasm left over from Mr. Deeds Goes to Washington (1939). People are always impressed when you call ’em long distance. Especially in New York. PRIEST: When I’m up there I feel closer to God. LINDBERGH: I’d say you’re closer to God when you’re landing. BUD: What is it? What makes us go up there? LINDBERGH: Oh, you tell me. Like a lot of biopics, The Spirit of St. Louis takes its hero’s deep-seated motivations for granted. All we see of Lindbergh’s family life are a handful of pastoral flashbacks in which his parents are stock country bumpkins – although his father once served as a Congressman. Apparently his youth was easy, unproblematic. Tortured backgrounds should not be mandatory in the life of every luminary (biopics often assume this), but everyone has some bumps along the way. Not this Lindbergh. Obtaining a $15,000 bank loan to buy a plane? Speeding up the manufacturing of the aircraft to beat rivals Nungesser, Coli, and Chamberlin? Not too difficult. It’s clear skies until he actually gets off the ground, which is when the film also gains more engaging altitude. Lindbergh somehow takes off from the rain-drenched ground of Roosevelt Field, flying out of New York, over Nova Scotia, Newfoundland, and into the lonely stretches of the North Atlantic. For the next 33.5 hours he fights off sleep and ice-laden wings. Before he reaches Ireland and subsequently Paris, we are stuck with Lindbergh and his memories. Since Stewart has reserves of natural charm deeper than South African gold mines, and because his facial takes up the battle against sleep valiantly, we are blessed with an entertaining companion. To convey Lindbergh’s psychological processes Wilder has inserts interior voiceovers, though these verge more on the comical than reflective (a wanton fly in the cabin takes up a lot of screen time). According to the DVD jacket (from the James Stewart Signature Collection) Stewart is in “his role of roles”. It’s an admirable performance considering the weakness of the film, but it shows none of the neurotic complexities Stewart brought to his Westerns or his work with Hitchcock. Wilder is not in his film of films either. He’s neither as funny or incisive as he could be…but this is a safe sturdy biopic, not making any transatlantic journeys. Just domestic. This is the type of plot where everything hinges on who is carrying the guns and where said guns are pointing. In Anthony Mann’s The Naked Spur, none of the characters brandishing Colts are entirely trustworthy, including the usually folksy James Stewart. 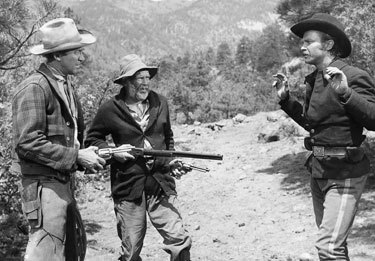 Stewart plays Howard Kempe, a bounty hunter who picks up wanted killer Ben Vandergroat (Robert Ryan), but has to contend with a prospector (Millard Mitchell) and dishonourably discharged soldier (Ralph Meeker) who want a cut of the $5000 reward. Vandergroat slyly manipulates his uneasy captors, playing them off each other and using his companion Lina (Janet Leigh before Psycho) as visual distraction. All the ingredients are here for a taut “seige” picture of moral dilemma not dissimilar to The Treasure of the Sierra Madre. 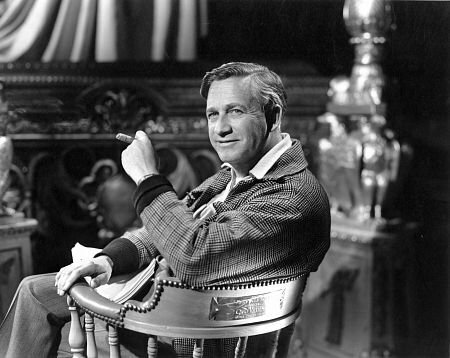 Unlike Huston’s film there are not many redeeming morals for the story’s proceedings. A peaceful encounter with a band of Blackfoot natives turns into a pointless bloodbath; Millard and Anderson are both duplicitous, as is Leigh’s complicated Linda, who works for Vandergroat but begins to fall for Stewart. Stewart goes through most of the movie grunting and snapping at the other actors, a growing anxiety under his carbuncular twang. His emotional collapse is startling (check out Johnny DiLoretto’s interesting piece on Stewart’s conflicted portrayal of mascunility).